Skytrax Revealed The Best In The 2017 World Airlines Awards – Skytrax announced Qatar Airways as the best airline in its annual award show at the Paris Air Show. Marriott cancels its 24-hour cancellation policy (CNN Money) – Marriott International announced that it will be increasing its cancellation policy from 24 hours to 48 hours for all new hotel bookings on or after June 15, 2017 for hotels in the Americas (including the US, Canada, the Caribbean, and Latin America, except for the group’s Design Hotels brand). This change will bring the chain in line with others such as Hyatt and Hilton. 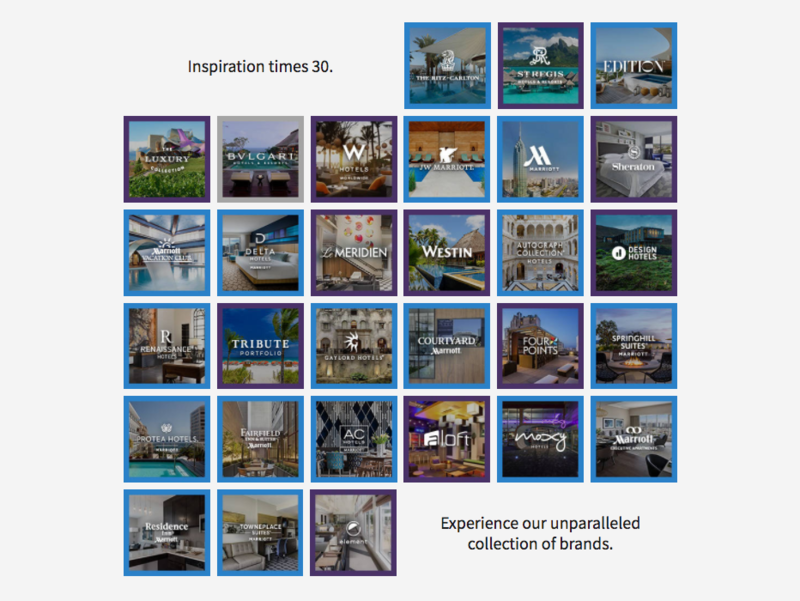 The company just closed its US$13 billion merger with Starwood Hotels and Resorts (Related News) to create the largest hotel chain with more than 30 brands in its portfolio with the most presence at the most travelled airports in the world. Airbus presents the A380plus (Airbus) – Airbus announced the new improved design of its doubledecker aircraft dubbed A380plus. The upgraded design provides an operator with a 4% fuel burn savings through new winglets and up to 13% lower unit costs by introducing a more compacted staircase design, a 11 abreast seat configuration in the economy cabin and a 9 abreast seat configuration for premium economy. The new cabin can add up to 80 more seats while flying 300 nautical miles further. 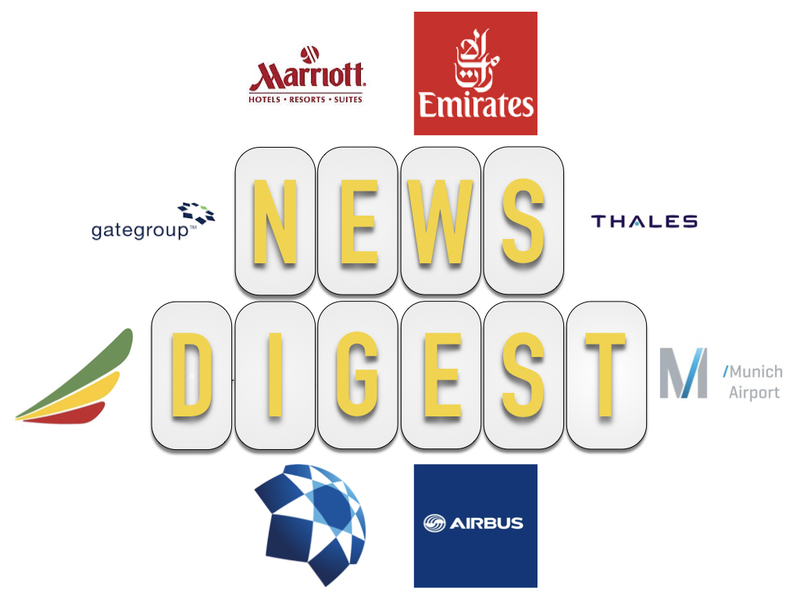 AIRSHOW-Ethiopian Airlines in jet deals with Boeing, Airbus, Bombardier – Star Alliance member Ethiopian Airlines announced orders at the Paris Air Show for 10 Airbus A350-900s (in addition to 10 already ordered), 2 Boeing 777 Freighters, and 5 Bombardier Q400 turboprops. These aircrafts would be used for the airline to renew its fleet and expand its route map. Emirates Balks at A380 Order Until Superjumbo’s Fate Is Clear (Bloomberg) – Emirates’ President Tim Clark voiced his views on the state of the Airbus A380 aircraft and the airline’s continued review of the program. He noted that Airbus has not communicated whether the new winglet feature from the new Airbus 380plus design would be available as a retrofit or be included for aircrafts in production. Additionally, he noted that the state government would like to combine operations of flydubai and Emirates to eliminate duplicate routes and gain lower costs through combining processes and improved purchasing power. AIRSHOW-Airline caterer Gategroup sets sights on China (Reuters) – Airline caterer gategroup looks to expand its presence in the Asian market through its new owner The HNA Group. Gategroup includes subsidiaries such as GateGourmet and Servair which manages the catering needs of many worldwide airlines. In addition, The HNA Group owns the 5 star Skytrax airline Hainan Airlines. The new pairing will bring cost savings and product development synergies in the future. Dubai Airport to Use Biometrics and Blockchain for Passive Passenger Screening (Find Biometrics) – The third most travelled airport in the world is working with ObjectTech and the General Directorate of Residency and Foreigners’ Affairs (GDRFA) to introduce biometrics and blockchain (such as e/digital passports) into its security screening processes. The goal is to reduce the requirement to check passenger passports manually at different points of their journey including check in, security, boarding and arrival. Thales introduces Inflyt360 at the Paris Air Show which takes passenger experience to the next level by incorporating data analytics from different sources to come up with a more personalized way on interacting with passengers. Airports are no longer destinations designed just for travel. Munich Airport lined up regional and international exhibitors to showcase specialities at stands and food trucks during the second annual Taste and Style 2017 Festival. The June 15-18, 2017 event was hosted at the Munich Airport Center and attracted over 150,000 people. Besides cars, the airport has a large network of multi-modal transportation options available for attendees including two lines of S-bahn city trains, Flixbus, and Lufthansa Express Bus.